Secure Pro Credit Card-Sized Lock Picking Set | BUDK.com - Knives & Swords At The Lowest Prices! Are you tired of being locked out when you forget your keys? We have the perfect solution for you! 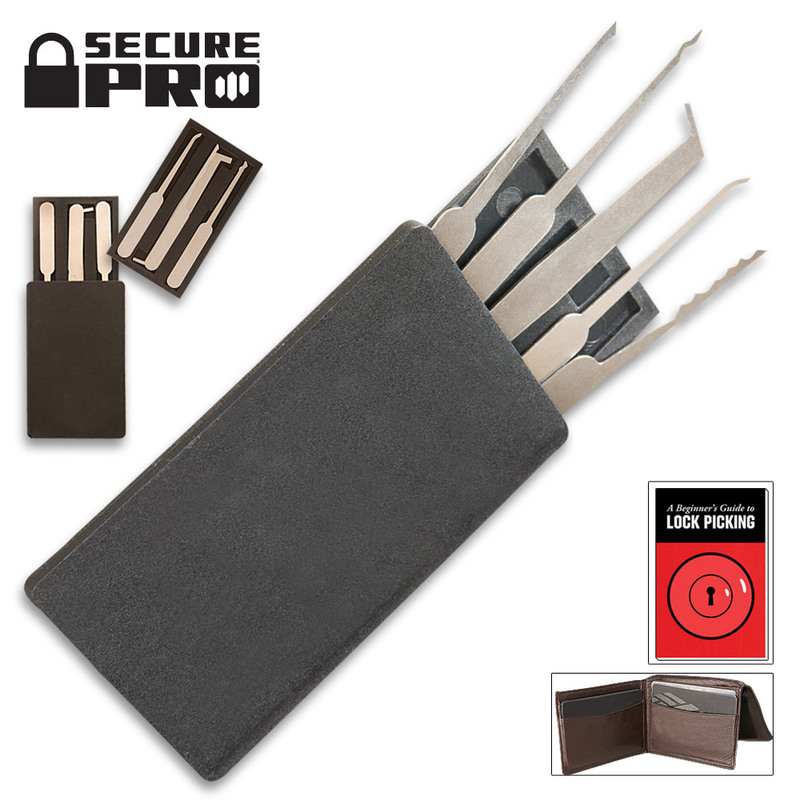 This Secure Pro Credit Card Lock Pick Set is a full sized lock pick set hidden inside what appears to be a credit card. At 1/8" thick, it is only a little thicker than a normal credit card. The back slides off to reveal four different style lock picks and a double sided tension tool. The picks are stamped from strong, solid metal and boast hundreds of uses. This set fits perfectly in your wallet, so it's always ready when you are. 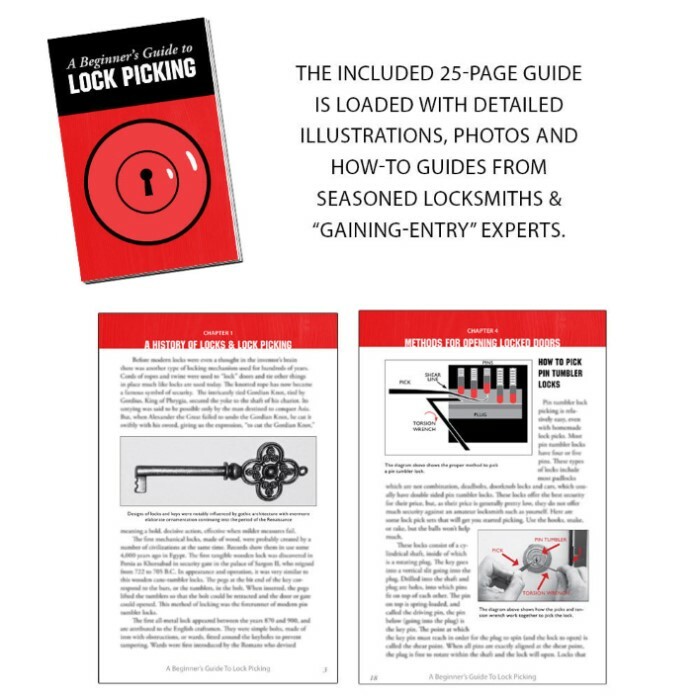 As an added bonus, this set also includes a free book, "The Beginner's Guide to Lock Picking."